Most parents are willing to the fact that with the advent in the house of a newborn child a peaceful sleep a night. But when the baby grows up, parents increasingly want to relax and be alone, even at night. Encourage your child to sleep in own bed, and you will ensure yourself, and most importantly - him, calm and healthy sleep. Determine the time when it is time to go to bed and diligently follow it. Make a list of the procedures to prepare the child for sleep, it may be a gentle massage, bathing, reading before bedtime or lullaby. They must also constantly repeat to each other at the same time. Let the environment as have to sleep. Decorate your window curtains if outside light, and at night turn on the night light. Isolate the room from extraneous sounds. At the same time, perhaps certain sounds, such as natural noise, soft music or a monotonous reading, to soothe and lull the baby is to adopt. 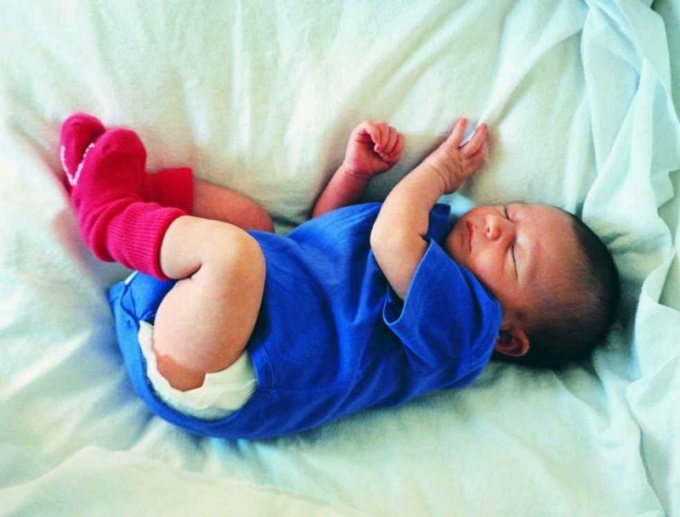 Consult a pediatrician and neurologist, how it is better to sleep your baby. Many children quickly get used to sleep in a separate bed, and when you get older, perceive the crib as "his" own place. Of course, at first they may cry loudly and beg on his hands, but if the parents are gentle, persistent and caring, the kids will soon be happy to sleep in his crib. Other kids need to feel in the dream, parental warmth, otherwise they become anxious and have trouble sleeping. In this case, you need to start with a joint dream and gradually, as they grow older, to teach a child to bed. Be tenacious, attentive and patient. Each method has its advantages and disadvantages, they need to be ready. If you don't take the baby with you to sleep, try giving him more heat with the day, pamper it, often take it on his hands, so he felt that you did not love him less. If the baby calms down after crying, sleeps well and soundly, so his weeping caused by a reluctance to accept the loss of your attention. If the sleep is disturbed, it is better to abandon the chosen method and some time to sleep together. If something went wrong, contact your doctor. It is possible that you are doing everything right, but the kid refuses to sleep in the crib, and in General poor sleep – means, the reason in something else, may be associated with the condition. Visit a neurologist or pediatrician and go through the tests.